The weekend could not come soon enough. After a 6 hour workday in Connecticut and a 2 hour drive back to Manhattan in the pouring rain, Saturday dawned sunny and mild. We worked off all our pent up aggressions at Flywheel and decided it was a great day for Broadway. 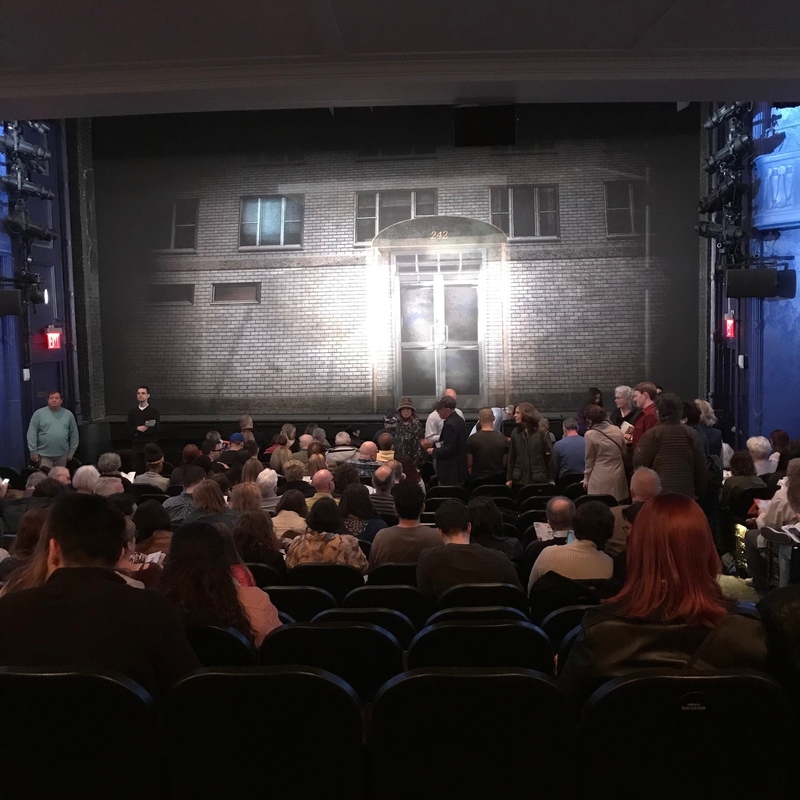 We were very lucky to secure the last two tickets at TKTS for Kenneth Lonergan’s critically acclaimed and recently opened play, Lobby Hero. 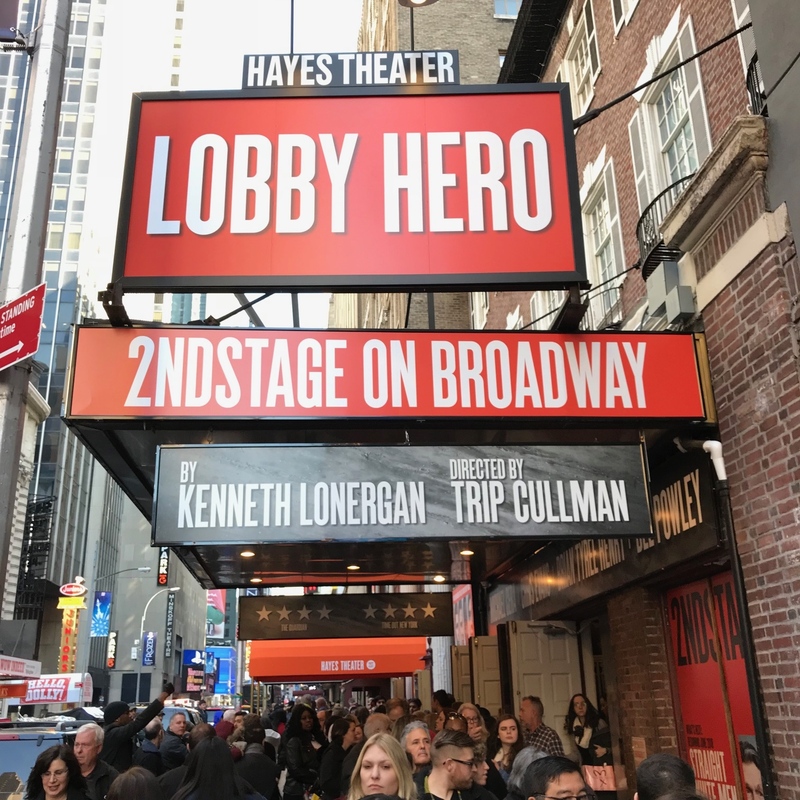 An intimate yet all encompassing play, Lobby Hero focuses in on the concepts of loyalty, betrayal, ambition and ethics, with detours into sexual harassment, police brutality and the nervous stirrings of a possible new romance. The play first debuted Off-Broadway in 2001, yet the topics could not be more timely and relevant. Lonergan (You Can Count On Me, co-wrote screenplay for Gangs of New York, wrote Analyze This) won the Academy Award for Best Original Screenplay and was nominated for Best Director for last year’s acclaimed film, Manchester By The Sea. The play swaddles you in compelling story telling, abounding with generous laughs. Mindy Kaling, our row mate, was also enjoying the levity. 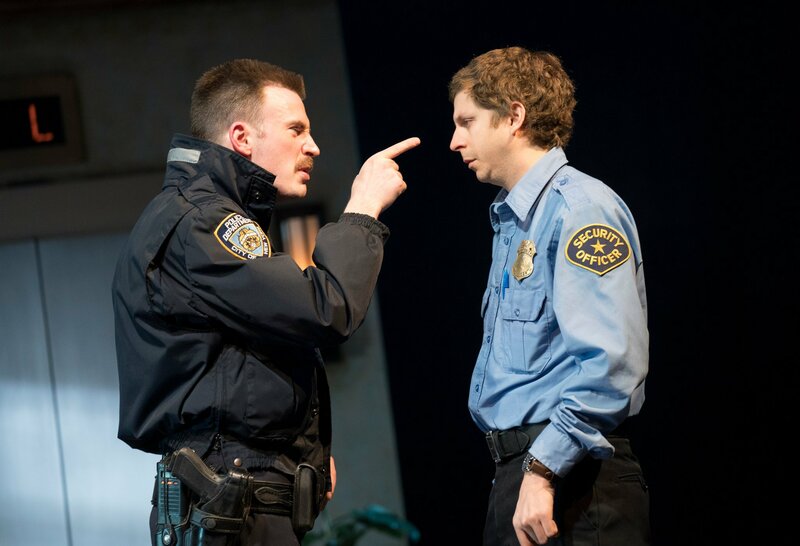 Lobby Hero features a stellar cast of Chris Evans, Michael Cera. Brian Tyree Henry (FX’s Atlanta) and Bel Powley (The Diary of A Teenage Girl). Michael Cera is captivating as the apartment building security guard, playing his trademark awkwardness to perfection and beyond impressive is Captain America, Chris Evans as a hot shot cop, surpassing all theatrical expectations. The Hayes Theater just reopened and the restoration is impressive, affording the theatergoer the opportunity of literally seeing the stage from anywhere. It is now the official home to Second Stage Theater. 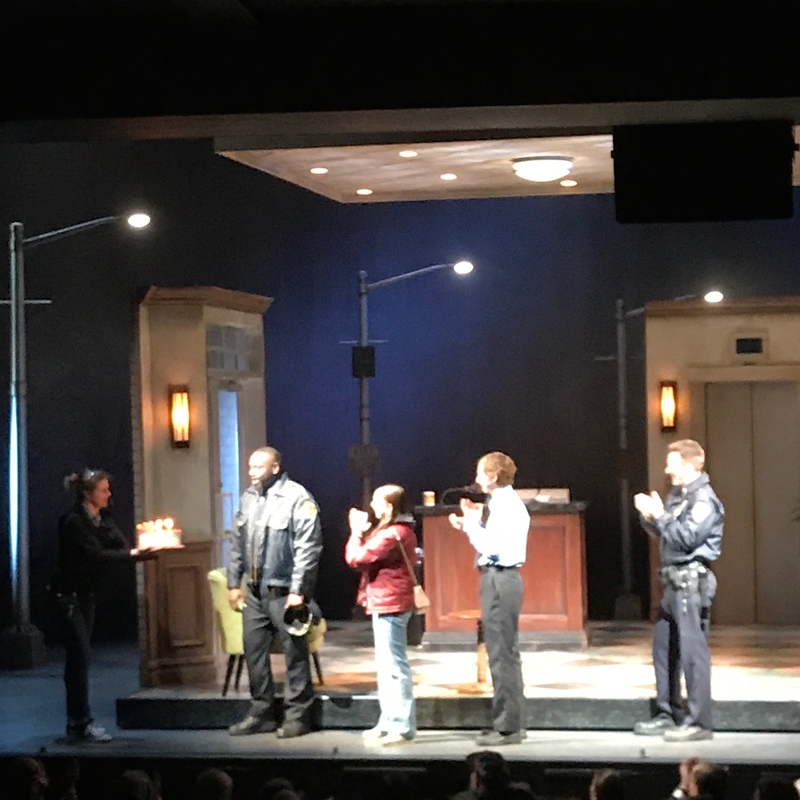 It was Brian Tyree Henry’s birthday and the play ended on a high note when he was presented with a cake. The audience all came together and sang a rousing rendition of Happy Birthday. We headed home and hit Central Park, providing an exhilarating playdate for the girls. Cafe Luxembourg was our dinner destination for our weekly dose of Rachel, bartender extraordinaire. We sat at her end of the bar and caught up while indulging in Manhattans and delectable Spanish red. Sunday, we ventured to Brooklyn by car since it was the holiday weekend and many locals had fled the city. Brooklyn is a foreign country to me. The only place I can find is Sociale Restaurant in Brooklyn Heights. The highways are insipid, ugly and the numbers change every 1/4 mile. Anyway, with uncharacteristically flawed help from Waze we found Olmsted in Prospect Park. 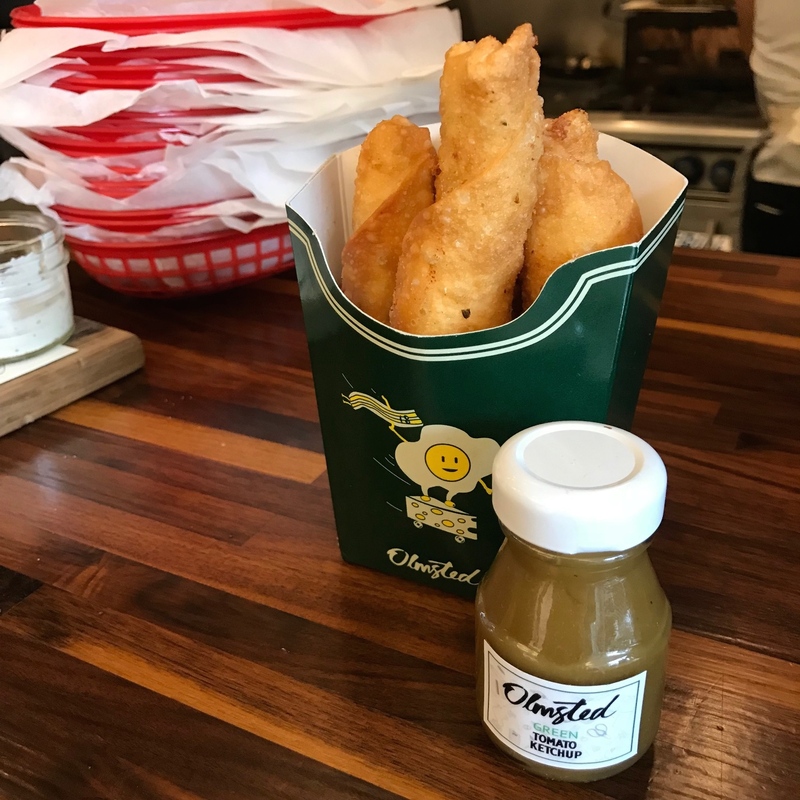 The food was fantastic and the chef, who earned his chops at Alinea in Chicago and Blue Hill, really is a perfectionist which earned us a delicious and creative brunch. Satiated, we headed back to the Borough of Manhattan which was easy to find once I found my bearings near the Brooklyn Bridge. We trolled the ‘hood and literally ran into Tina Fey chomping on her sweetgreen takeout salad. I took a chill pill and restrained myself from begging for Mean Girls tickets. The city was relatively quiet and frankly, other than a semi-deserted island with room service and calm turquoise waters, there is no better place to be than the island of Manhattan. It was a fabulously entertaining holiday weekend. Lobby Hero Helen Hayes Theater 240 West 44th Street New York City. Limited Run March 26th-May 13th, 2018. Running Time: 2 hours 25 minutes with one 15 minute intermission.